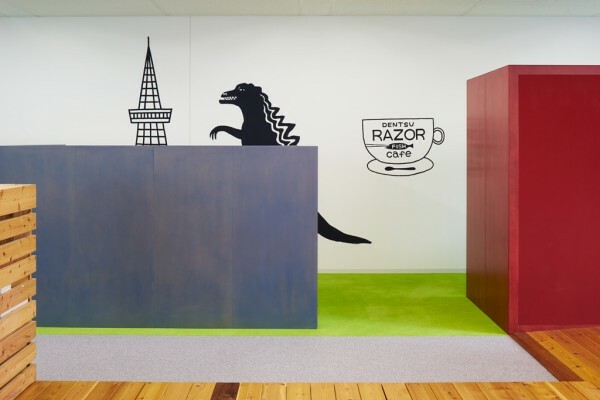 We performed the interior design for Dentsu Razorfish's latest office following the moving of the Dentsu Digital Holdings Group. 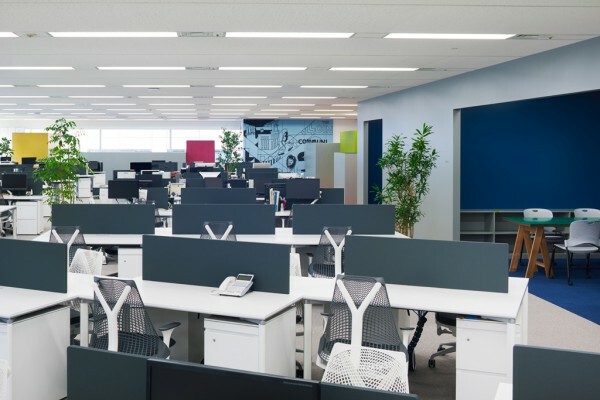 We were tasked with providing a space in which workers could feel the "connection" to other departments within the company as well as other group companies. Located near Ginza’s Kabuki-za theater, the six-floor office building is home to five such companies. Razorfish’s meeting rooms occupy the 3rd floor while the work and resting spaces can be found on the 4th floor, where quick informal meetings can also be held behind colorful panels. 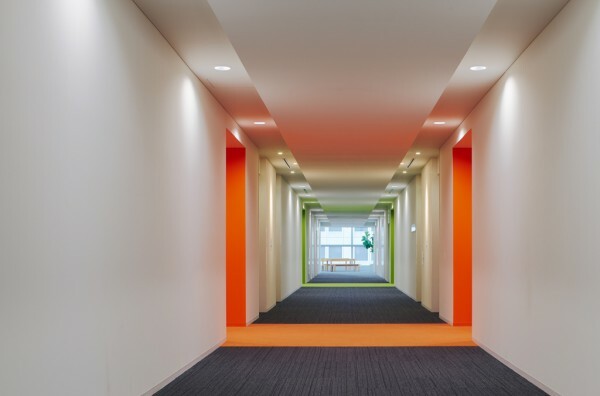 The corporate color found in the tunnel-like area and carpeting overlaps with that of the elevator lobby dividing the northern and southern parts of the building since it acts as a link between these spaces as an architectural design common to each company. 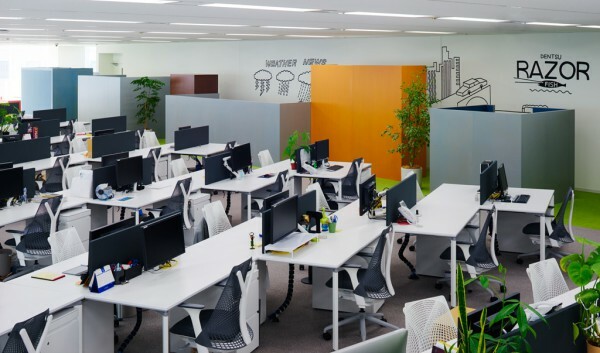 Located at each end of the building are resting spaces offering the best view and different functionalities and atmospheres that have been designed to foster the flow of people and active interaction within the company. 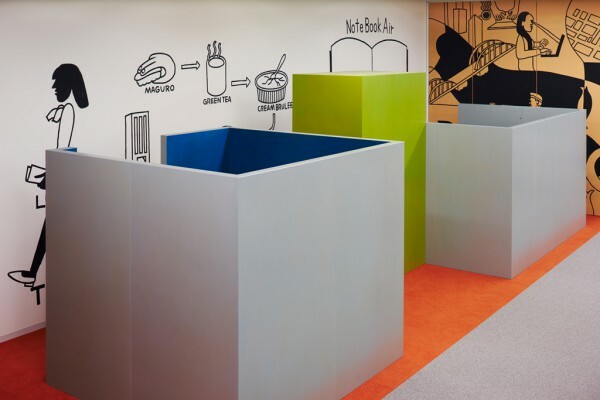 Moreover, private booths, a cloakroom and copying machines can be found in the multi-functional areas along the core walls. U-shaped partitions also populate the work space, the size and color of which vary according to their function, thus giving the impression of a street scene. 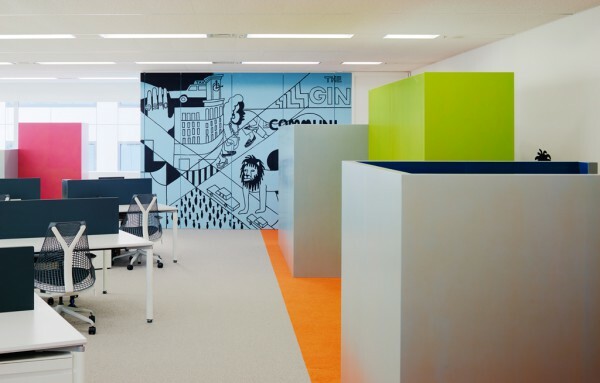 Furthermore, large illustrations associated with the neighborhood drawn on the walls contribute to impart a lively ambience to the whole office. 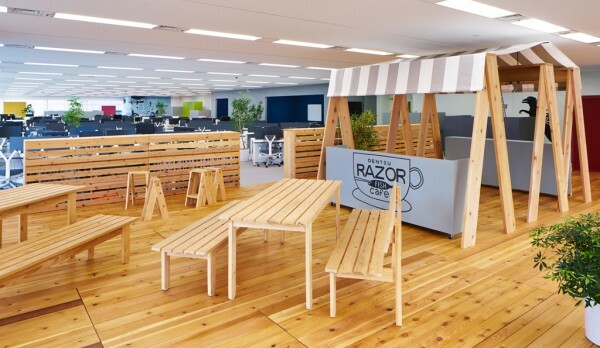 Facing the Tsukiji area is an outdoor-themed free space fitted with private desks and large tables that can be freely rearranged depending on the desired use. 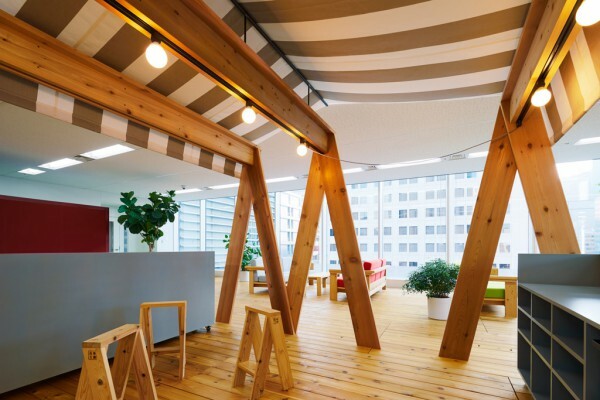 Meanwhile, facing the Ginza area is a deck furnished with Ishinomaki Laboratory’s creations brought over from the previous office to create a space brimming with the soothing smell of wood. 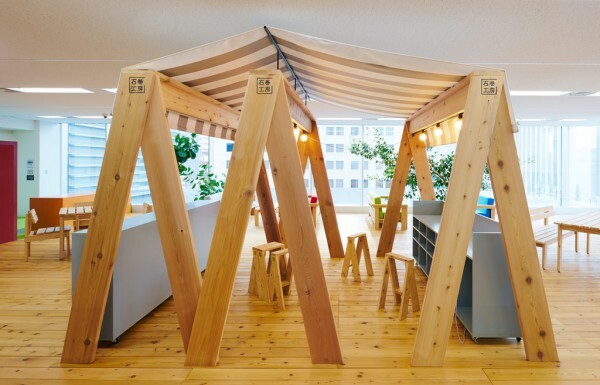 Easily recognizable from a distance and found at the center of this deck is a canopy made of three oversized AA Stools, which serves as the office's symbol and a cafe space for people to gather.